I’ve been working on my latest quilt “Down the Drain”. I used one copy of the pattern to place behind my white base fabric to use to position my applique pieces properly. At one point I wasn't pleased the way the flow was coming across, so I started “unfusing” (aka, peeling off) some of the pieces (so thankful for Misty Fuse!). Ugh, the black ink from the pattern had transferred onto the back of the white fabric and was showing through. Lesson learned, watch the way I fuse from now on. I did grab a new piece of white fabric and transferred the other pieces over, without the pattern behind the fabric. I like the way the quilt is flowing now and I’m creating most of the pieces without the pattern. Here’s a peek at what I have accomplished so far. 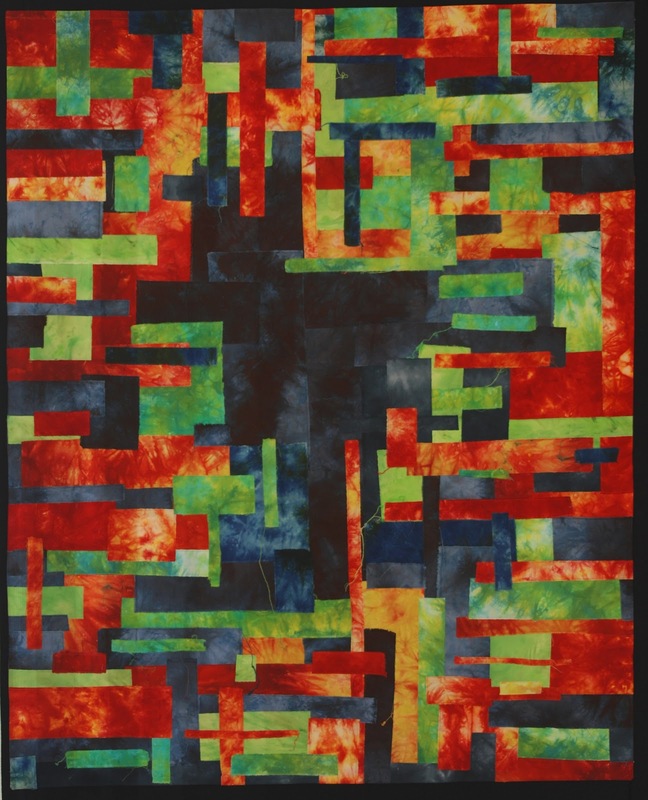 My deadline for this quilt is growing closer, so I need to get busy and get back in the Studio for some serious fusing time. When I was frustrated with the black ink transferring to the white fabric, I had to step out of the Studio and do something different. So, I made my way down to the Dye Studio and tried a few “sink dyeing” ideas I had been thinking about. When I was about to pull the fat quarter out sink I went looking for my drying racks. Hmmmm, where were they? Mr. Wonderful has been a little OCD about straightening the garage lately. Second lesson learned that day, when Mr. Wonderful comes to me and says, “Look how much more room we have around your car”, I need to start asking where my drying racks are and my other treasures in the garage. He had done it again, stored “my stuff” in the upper cabinets where I can’t reach them. He wasn’t using them, so they could be stored out of the way, right? My drying racks are now safely (I hope) stored under my dye table. I have completed “MRI Mirage”. Here is the final picture of it. It is ready to be entered in the DAFA / Alzheimer’s show. This is my favorite quilt, right now. I love the dept of the colors and how the deep center draws you in. Back to the Studio I go! Have a creative day everyone!